Book of Oz is a video slot by Microgaming that can best be described as “Book of Ra with a twist”. Book of Ra is about the most copied slot machine ever: the number of Book of Ra-like slots must now run into a hundred. Book of Dead, Book of Gods, Book of Aztec and Book of Oz, they are all variations on the brilliant Book of Ra slot. 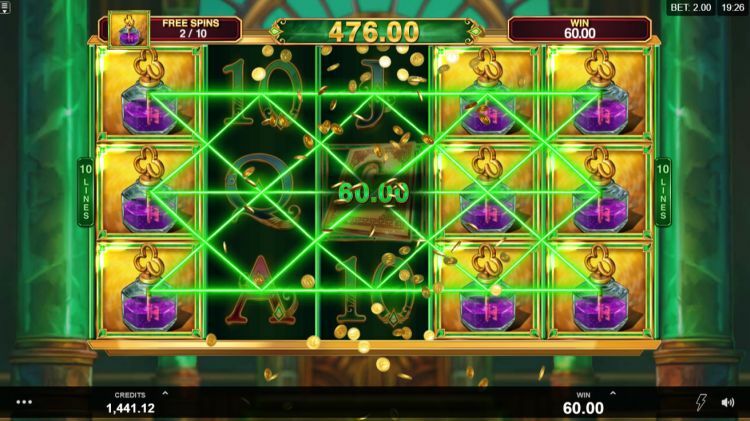 Triple Edge Studios is a game designer who develops online slots for Microgaming. They designed the Book of Oz lock and to be honest: it shows. In any case, it is sometimes nice to deviate from the standard Egyptian mythology/adventure theme. Book of Oz was mainly inspired by the famous fairytale film Wizard of Oz. But there is more: they also have a respin feature built in, where players can pay to hold reels or respin a reel. This provides an entirely new approach to the game: you have to put on your strategy hat. How does the Book of Oz slot machine work? Book of Oz has 10 paylines, which are divided over 5 reels with 3 rows of symbols. Betting is possible from $€ 0.10 per spin up to $€ 25 per spin. The maximum reward is 5,000 x your total bet, allowing you to win $€ 125,000 when betting to the max. The variance of Book of Oz is high: this is a slot machine for the serious player, who is not afraid to take some risk. The theoretical payout rate is excellent: 96.31%. The highest paying symbol is the wizard with the green hat. This will give you 500 x the bet for a 5-of-a-kind on an active payline. That is considerable. The other premium symbols also yield a lot: there are 3 magic potions that are worth between 75 x and 200 x the total bet for a 5-of-a-kind. The low symbols consist of the card symbols 10, J, Q, K and A. These are worth the same between 10 x and 15 x the total bet for 5. The Oz book symbol is wild and replaces all other symbols. Also, this symbol acts as a scatter. 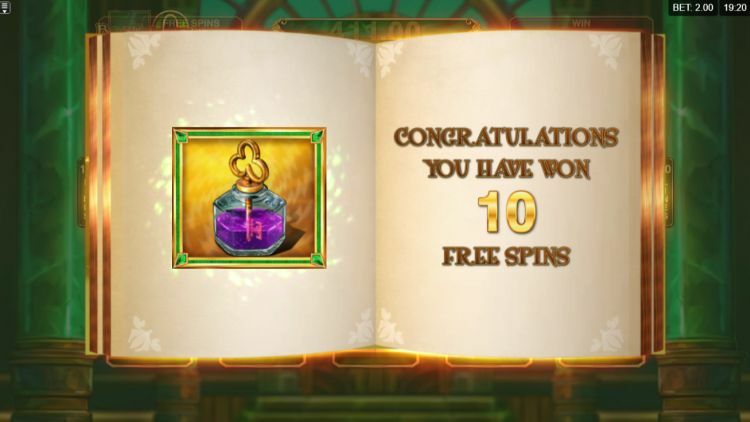 3, 4 or 5 books give you the free spins bonus: you get 10, 12 or 25 free spins respectively. You know the drill: you get 1 special symbol that works as a scatter during the free spins and covers the entire roll. This way you always get all 10 paylines in a winning combination. 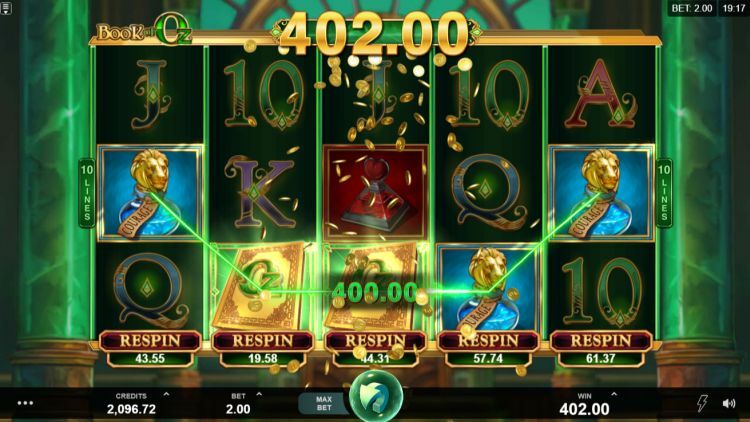 During the primary game, it is possible to use the respin feature. This means that you can respin 1 of the 5 reels, at a surcharge. This comes in handy when you want to activate the bonus game or if you have a 4-of-a-kind of a high symbol with 1 empty position in the middle. Beware: respins are not cheap, and there is no guarantee that they will bring you extra rewards. If you change bets in between, respins are no longer possible too, so take that into account. What is our verdict on Book of Oz? Microgaming has finally released a decent online slot with Book of Oz, although the theme is far from original. The respin feature gives the game a new dimension and that is always fun to experience. 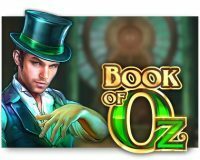 The Book of Oz has a huge payout potential: during the free spins it is possible to win up to 5,000 x your bet and that every spin! Where can you find Book of Oz? The Book of Oz slot is found at all reliable Microgaming casinos. One of these Microgaming casinos is Casumo, which is one of our favourite online casinos. You can play the Book of Oz slot at Casumo with a 200% bonus up to $€50 plus 200 free spins.